19 November 2013, at 9:29p.m. EL SALVADOR - Zoetis participated in the XXIII Latin American Poultry Congress in San Salvador from November 12 to 15, showing its in ovo vaccination equipment using miniature models. Visitors to poultry exhibitions and congresses around the world have been showing increasing interest in in ovo BioDevices as a means of increasing the efficiency of their operations. However, the sheer size of the devices and the difficulties involved in shipping them from country to country means that they are not always shown. 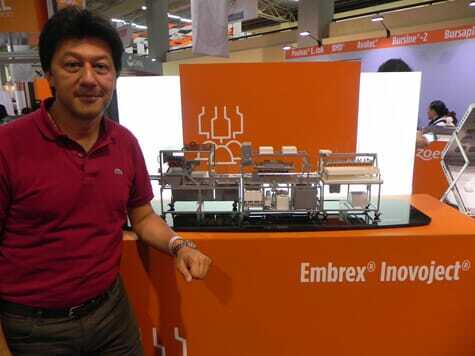 Now, the world’s leading manufacturer of in ovo BioDevices, Zoetis Global Poultry, has got around the problem by creating miniature replicas of its Embrex® BioDevice range. Where previously customers had to rely on photographs to get an idea of what the devices are like, they are now able to examine and handle 1:6 scale models to see what the devices look like, and how they fit together in three dimensions. 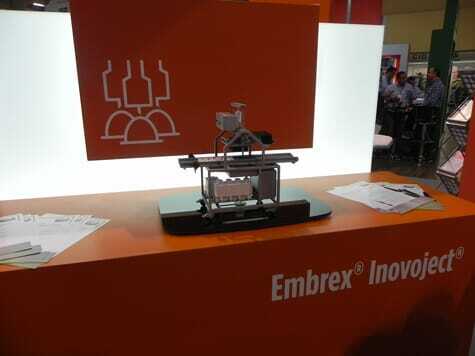 The miniatures on show at the Latin American Poultry Congress included models of the new Inovoject m, the world’s smallest in-ovo vaccination device, as well as the full-sized Embrex Inovoject® with Vaccine Saver and Egg Remover. This show was one of the first times that Zoetis exhibited at a major international show in Latin America.